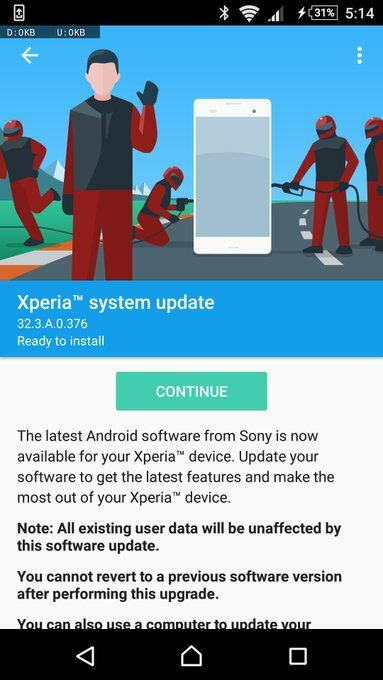 Sony stalled the previous Nougat 32.3.A.0.372 firmware build due to several bugs prevailing in the update. The major Japanese smartphone manufacturer has deployed the a fresh Nougat firmware upgrade to a range of select Sony devices including the Sony Xperia Z5 series, Z3 plus, and Z4 tablet. Sony is now rolling out a fresh copy of Android 7.0 Nougat with firmware build number 32.3.A.0.376. This is considered to be a stable version and is now live across the globe. The new Nougat OTA should fix all or most of the bugs found in the previous release (32.3.A.0.372) like the audio playback bug for third-party apps. However, for those who have already updated to the older 32.3.A.0.372 firmware, need not worry because the OTA is live now and can be downloaded from System>Software updates. Moreover, for the regions where the OTA isn’t live yet, can download the full stock FTF firmware files from below or from the latest XperiFirm 5.0.0 tool. We have managed to capture as many offline download links as possible. Download latest firmware from XperiFirm v5.0.0. You may also like list of Sony Xperia devices receiving Android 7.0 Nougat.